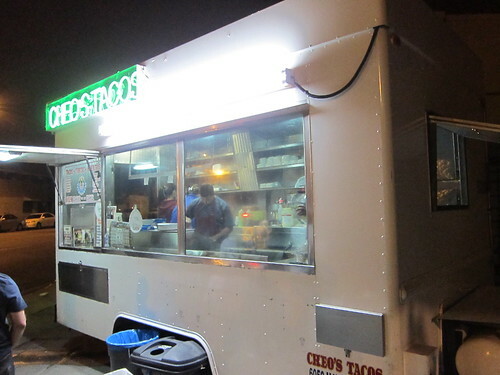 Cheo’s has been a difficult taco truck to track down. They only do business Thursday through Sunday after 8pm and I’m rarely on the Eastside on the weekend. If it’s the weekend you’re more likely to find me on the bike path riding from Venice to Redondo working off my taco extravagance. Or at the beach or park involved in my second favorite hobby which is being a book nerd. So for me and Cheo’s to hook up Thursday night was going to be our night and until now it just never worked out. Over the years I have gotten a lot of positive emails about Cheo’s but about 6 months ago I started getting emails that the quality wasn’t what it once was. They had apparently gone downhill for whatever reason; maybe a reliable cook took his recipes elsewhere or maybe they started cutting corners or maybe they didn’t even know why they had lost it. But I had to wonder if I had missed Cheo’s glory days. Or maybe if they had missed mine. Cheo’s can be found at the corner of Alhambra and Bullard in El Sereno serving up tacos, burritos, and tortas to El Sereno locals. I got the feeling that the patrons were all regulars. There were a half dozen or so sitting at a table under a white tent that was just adjacent to the taco wagon and the whole operation had a more neighborhood feel to it. 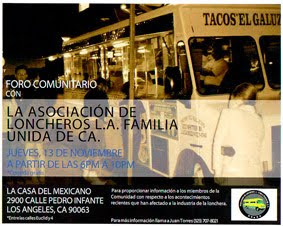 The taco truck that parks on a busy boulevard may pull in the curious passerby, but with Cheo’s you have to know about it, it’s not hidden by any means but this stretch of Alhambra boulevard with it’s industrial vibe isn’t the kind of street that’s a conduit to another destination. That’s unless you really know your way around El Sereno. 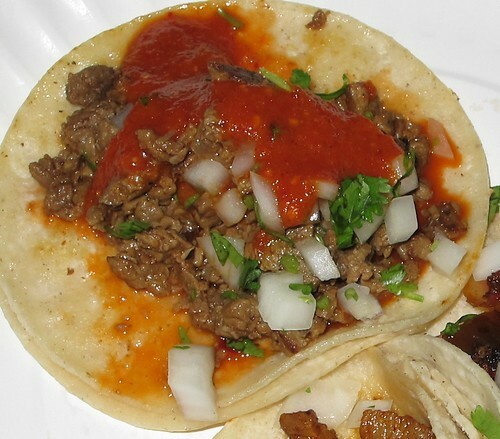 The tortillas are store brand Guerrero , small sized and come well oiled on the plate. The al pastor is mixed with grilled onions and has good flavor. It has a charred texture with little tender bits of pork. 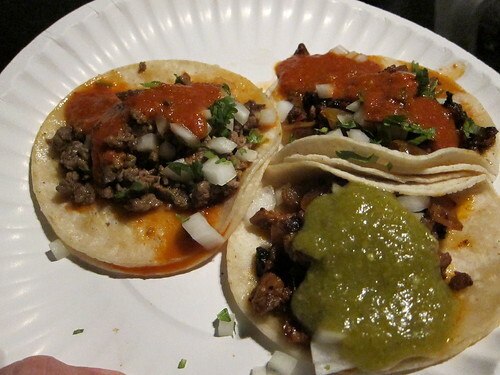 I got two al pastor and alternated between salsa roja and verde. The verde didn’t do a lot for me but the salsa roja packed a wallop. The heat hummed on my lips and the bottle of water I had didn’t do a lot to put out the fire. Then I started to hiccup, which has been happening lately when I eat something spicy. The hiccups didn’t last long(not like drunk hiccups where you want to die) and I moved on to the asada taco. The meat was tender and greasy with nice beefy flavor. There were no loose bits of fat or gummy tendon and the meat had a braised texture to it. 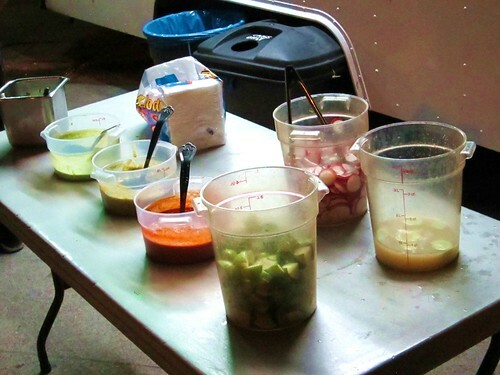 With the al pastor there were competing flavors with the salsa roja ; sweet and spicy with spicy winning. With the asada the beef was more complimentary. The salted meat played to the salsas strengths. It’s usually the other way around but the salsa roja was as aggressive as I’ve come by and I loved it. Since I can’t really compare these tacos to Cheo’s more celebrated days the only question I have is are the days of old back? What I’m asking is, has Cheo’s got their groove back? Because these tacos were pretty damn good. And being the sucker I am for a spicy salsa roja I could get pretty addicted pretty fast to these little bombs. Best tacos I've eaten in a long time I used to eat King Taco but Cheo's tacos are by far better. Family owned business and staff very friendly. Shout out to Lisette these were awesome tacos! These were awesome tacos way better than King Taco and this is a family-owned business that staff is very sweet shout out to lisette thank you to you and your family!